Roger Downey motorcycles is a DVSA authorised test site for class 1 and 2 vehicles. With three registered examiners at the site there is considerable flexibility on appointments usually allowing for short notice and next day inspections. Appointments can be made either by phone or email. 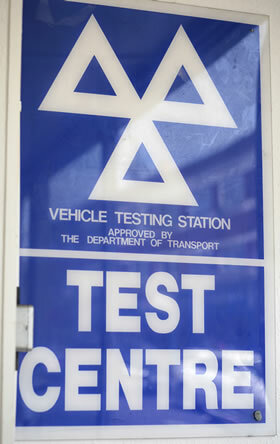 Customers are asked to advise if the vehicles road tax has expired. In the event that a machine is found to be un-road worthy remedial repair work can be undertaken if required and quotations can be provided on request. Located very close to Portsmouth ferry terminal MOT’s can be arranged for vehicles entering the country and a collection service is available if necessary. MOT testing centre for motorcycles and scooters.